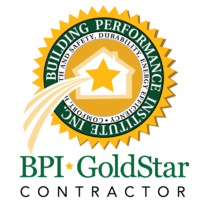 R Factor, Inc., is a certified BPI Gold Star Contractor! About the program: This new program introduces a 3-tiered system that recognizes and rewards contractors’ quality management achievements. With this program, you as a home owner or property manager can be assured that the standards used are above and beyond the normal pick-up truck contractor. Call us today at 315-783-6978 to learn how RFactor can help you save energy dollars every month!